Краткое описание: This is no ordinary game pak. 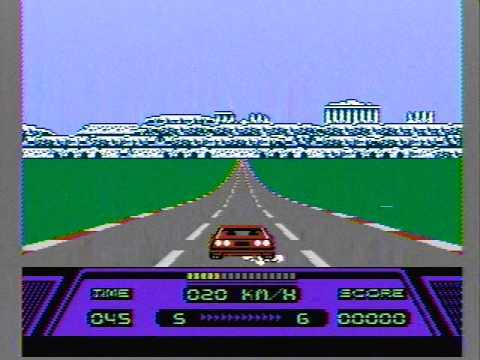 This is Rad Racer. 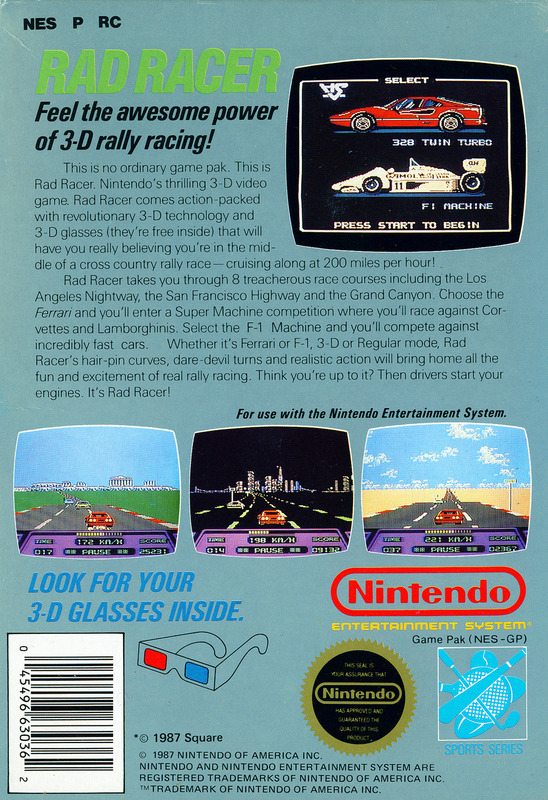 Nintendo's thrilling 3-D video game Rad Racer comes action-packed with revolutionary 3-D technology and 3-D glasses (they're free inside) that will have you really believing you're in the middle of a cross-country rally race - cruising along at 200 miles per hour! Rad Racer takes you through 8 treacherous race courses including the Los Angeles Nightway, the San Francisco Highway and the Grand Canyon. Choose the Ferrari and you'll enter a Super Machine competition where you'll race against Corvettes and Lamborghinis. Select the F-1 Machine and you'll compete against incredibly fast cars. Whether it's Ferrari or F-1, 3-D or regular mode, Rad Racer's hairpin curves, daredevil turns and realistic action will bring home all the fun and excitement of real rally racing. Think you're up to it? Then drivers, start your engines. It's Rad Racer! This is no ordinary game pak. This is Rad Racer. 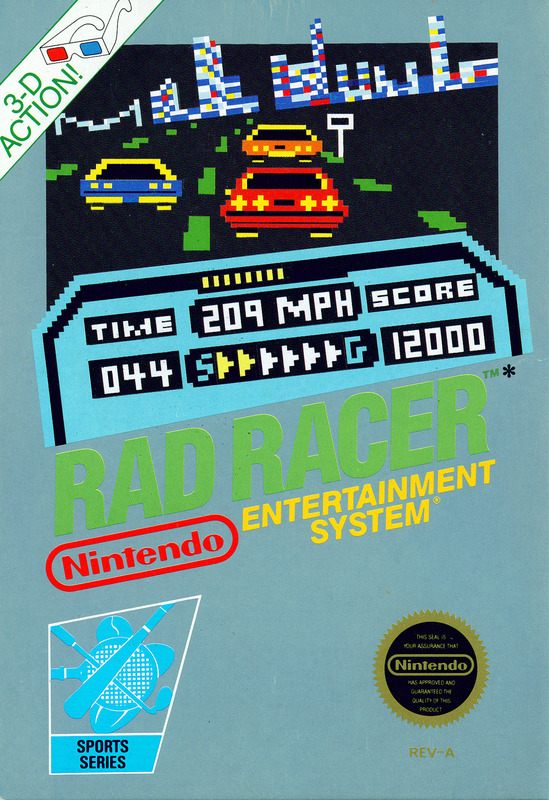 Nintendo's thrilling 3-D video game Rad Racer comes action-packed with revolutionary 3-D technology and 3-D glasses (they're free inside) that will have you really believing you're in the middle of a cross-country rally race - cruising along at 200 miles per hour! Rad Racer takes you through 8 treacherous race courses including the Los Angeles Nightway, the San Francisco Highway and the Grand Canyon. Choose the Ferrari and you'll enter a Super Machine competition where you'll race against Corvettes and Lamborghinis. Select the F-1 Machine and you'll compete against incredibly fast cars. Whether it's Ferrari or F-1, 3-D or regular mode, Rad Racer's hairpin curves, daredevil turns and realistic action will bring home all the fun and excitement of real rally racing. Think you're up to it? Then drivers, start your engines. It's Rad Racer!